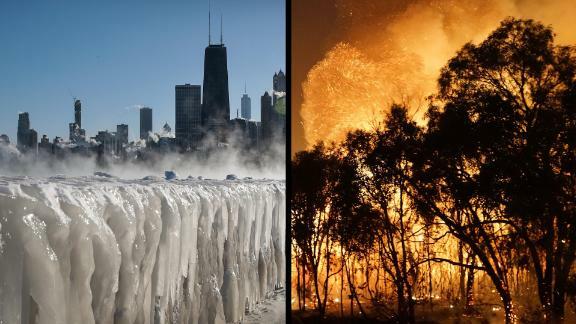 The US and Australia are experiencing opposite and record-breaking weather conditions. 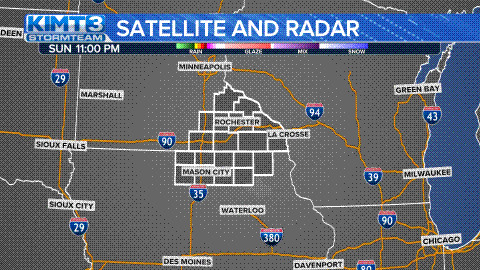 It's only one month into 2019 and meteorologists are already talking in superlatives as extreme weather patterns have brought cities and towns across the globe to a standstill. On Thursday, temperatures in 11 states in the continental US saw temperatures lower than the one recorded in Utqiagvik, Alaska's northernmost city, situated north of the Arctic Circle. Authorities in some of the hardest-hit cities such as Minneapolis and Chicago implored residents to stay indoors to prevent frostbite -- in one Chicago hospital, doctors treated 50 frostbite victims; some may lose an arm or a leg. On Thursday, residents in Braemar in northeast Scotland experienced -14.4 C (6.1 F), according to the UK's national weather service, the Met Office. This was the lowest temperature recorded in the UK since 2012. Heavy snow has created roadblocks for travelers across the country. Some flights at London's Heathrow Airport were canceled Friday; passengers were stuck on snow-covered runways at airports in Manchester and Liverpool earlier in the week. But as parts of the US and Europe saw record lows, Australia's Bureau of Meteorology announced it had been the country's hottest January on record.